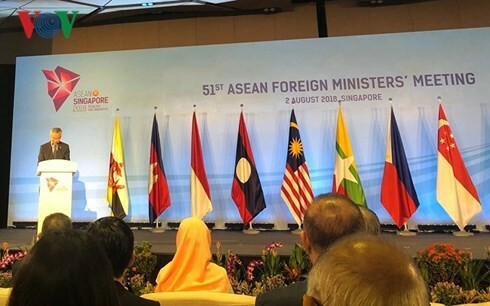 (VOVWORLD) - A delegation led by Deputy Prime Minister and Foreign Minister Pham Binh Minh attended the 51st ASEAN Foreign Ministers Meeting (AMM) and related meetings, which began in Singapore on Thursday morning. During this annual event, officials from the 10 members of ASEAN will discuss vital issues and propose initiatives to enhance cooperation within the bloc and with ASEAN’s partners. 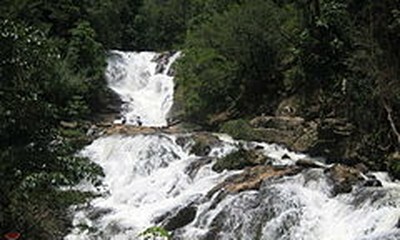 Four ASEAN+1 meetings with Japan, China, New Zealand, and Russia and other related meetings also took place on Thursday.